Kelly Grigsby, CEO at Victoria’s Wyndham City Council said it was incumbent upon leaders within the public sector to “set the tone” for gender equality by providing more opportunities for women. “This is actually a more acute problem across the public sector than we recognise so we have a lot of work to do,” Kelly said. “We have all heard a lot about the benefits of gender balance in the boardroom and in the Executive Team, but the practice of making it happen has to be something that we develop a real persistence about as a society. Kelly said celebrating the achievements of women was a powerful step in the right direction towards gender equality. Ben Rimmer, CEO of the City of Melbourne and member of the Male Champions of Change, a group founded to foster gender equality in the workforce, said the need to achieve this goal was “a no-brainer”. Ben said he had found “mostly” great support from men on his quest to see gender balance realised with the majority understanding the “power of inclusive and authentic leadership”. He acknowledged the path to gender equality would be difficult to achieve without having the right leadership and structures in place, and conceded that if he could go back in time to earlier in his career, he would listen to his advice of today around balance and care-giving. Ben added that one step businesses could adopt towards this was the introduction of gender neutral paid parental leave which re-frames and normalises full-time parenting for either gendered parent. 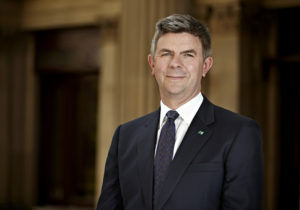 David Ryan, Managing Director at Victoria’s City West Water said the Top 50 initiative was an important way to empower nominees and winners, showcases change and encourages the conversation on gender equality to realise outcomes. David said his own experiences had shown him that a gender diverse workplace leads to more diverse and creative thinking. Davidson’s Top 50 Public Sector Women initiative has grown rapidly in the last 12 months, being extended into NSW in 2018. It has also attracted a list of high profile judges including Emily Phillips (CE Agriculture Victoria), Dr. Gillian Sparkes (Commissioner, Environmental Sustainability), Wendy Steendam (Deputy Commissioner, Capability, Victoria Police) and Ben Rimmer (CEO, City of Melbourne). There is still time to nominate yourself or someone you work within the VPS for this year’s Top 50 Public Sector Women (Victoria) list. Submissions for the Victoria awards close June 11 and nomination details and applications can be found here. Winners will be announced in August. 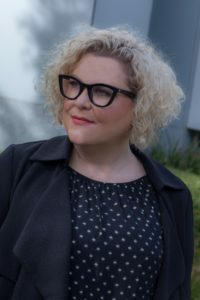 Sharon is a Principal Consultant at Davidson Executive Victoria. 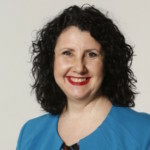 With over 25 years’ experience in organisational development, Sharon has expertise in executive recruitment, talent management, leadership development, executive coaching, as well as organisational culture and transformation. She has worked extensively with executive teams and Boards across public, private and consulting sectors, in Australia and internationally. This article was originally published by the Victorian Women’s Trust.